This is the second Grindhouse fake trailer to be made into an actual movie. Out of the four Grindhouse movies, I think it's the truest to the spirit of the 1970s low-budget exploitation flicks that inspired them. The others all felt "upgraded" somehow, as if the filmmakers just couldn't help improving on the schlock that inspired them. 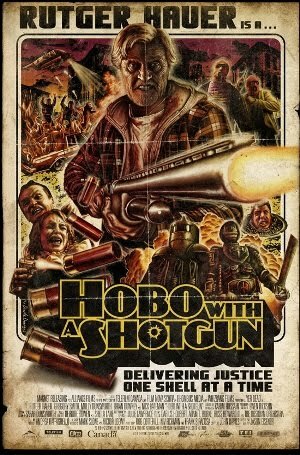 But Hobo with a Shotgun is the real deal. It's pitch-perfect with its rudimentary plot, cartoonish villains, over-the-top gory violence, and lame special effects. Obviously, that means it's not for everyone -- a lot of people will find it boring and/or disturbing -- but I enjoyed it a lot. 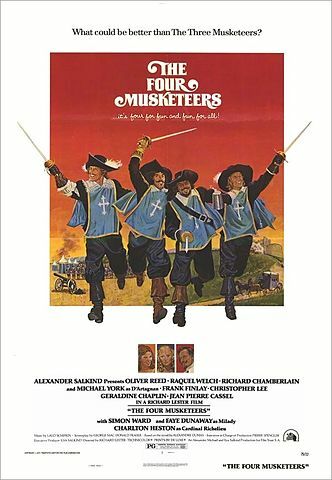 The Three Musketeers is one of my all-time favorite movies. I'm not saying it's a Great Movie or anything, just a favorite. I loved it when I first saw it when I was 11; I love it at least as much now. 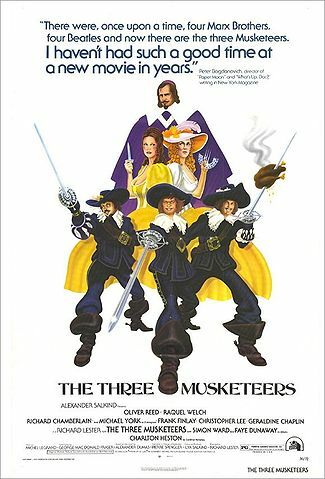 It's a great swashbuckling romance, and it's also very funny. Yet it never goes so far that it breaks the suspension of disbelief necessary to care about the characters. I especially love the fight scenes. They're exciting and wildly inventive, but they're essentially slapstick. Yet not in a way that ever makes me think "that couldn't happen." They're the perfect antidote to movie fight scenes in the 2000s, which are always either tightly-choreographed dances or chaotic "shaky-cam" confusion. And the entire cast is wonderful, especially Oliver Reed and Faye Dunaway. This is a lovely short (34 minutes) live-action family film. 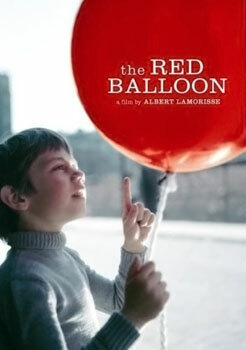 A little boy finds a beautiful red balloon, and, in a world of magical realism, the balloon befriends him. The movie follows the boys adventures as he gets into trouble at school and church and finally is pursued by bullies who want to pop his balloon just for the hell of it. It's really charming and moving. I suspect that Truman Capote's original story (which I haven't read, but now plan to) of gold-digger Holly Golightly and the kept man who moved in upstairs was a lot grittier than this nice little bit of romantic fluff. In real life, at least, things would certainly be a lot sadder and more desperate. But this is pure Hollywood romanticism. Everything is kept pretty light. It's a sweet little escapist romantic comedy. That's not to say that it doesn't work -- it does. It works very well. It's not a great movie, maybe, but it was made by very talented people, and it shows. Also, it's impossible to watch Breakfast at Tiffany's and not fall at least a little bit in love with Audrey Hepburn. It's also impossible not to root for her and George Peppard to get together by the end of the movie. I guess I also need to mention Mickey Rooney's deeply offensive portrayal of a Japanese man. There's not much to say about it. It's completely indefensible. The best one can say about it is that people know better nowadays, and everyone involved was sorry about it later.